Car Crash In Martin County Still Under Investigation | Schuler, Halvorson, Weisser, Zoeller & Overbeck P.A. 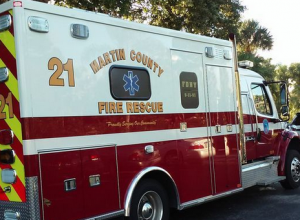 A 5-year-old boy became the third member of a family to die from a car wreck on Florida’s Turnpike in Martin County, the Florida Highway Patrol said. Charlie Brown died at St. Mary’s Medical Center in West Palm Beach. He had been rushed there after sustaining critical injuries in the crash. Two other members of the family, a 43-year-old man and a 5-year-old girl, died after their sport-utility vehicle packed with 15 people overturned just south of the Becker Road exit, throwing several people from the vehicle as it rolled. The driver lost control of the 2006 Ford Expedition after its left rear tire split, FHP said in a report released. Josh Brown 43, was pronounced dead at the scene. Maria Brown, 5, died at Lawnwood Medical Center in Fort Pierce, where she had been rushed after the crash. Six other children who were in the SUV, all with the last name of the family, were in stable condition at St. Mary’s. One adult, Catherine Brown, 34, is in critical but stable condition at St. Mary’s, FHP said. Two adults remain in stable condition at Lawnwood. Two other adults and a 41-year-old man have been treated and released from Lawnwood, FHP said. The cause of the wreck remains undetermined and charges are pending, FHP said. The wreck closed northbound lanes of the highway.